Preheat the oven to 180C fan forced (200C without fan). Line two baking trays with baking paper (this is important as some of the cheese and juices will probably leak out while cooking). In a large bowl, combine the lamb, breadcrumbs, mint jelly, chopped mint, haloumi, garlic and Worcestershire sauce along with some salt and pepper. It is easiest to do this with your hands (use gloves if you don’t like the idea of using your bare hands). Divide the mixture into six equal portions and set aside while you get the pastry ready. Cut each pastry sheet in half. Work with one half of the pastry at a time and put the rest in the fridge so it is easier to work with (it can be very difficult to handle if it gets too warm). 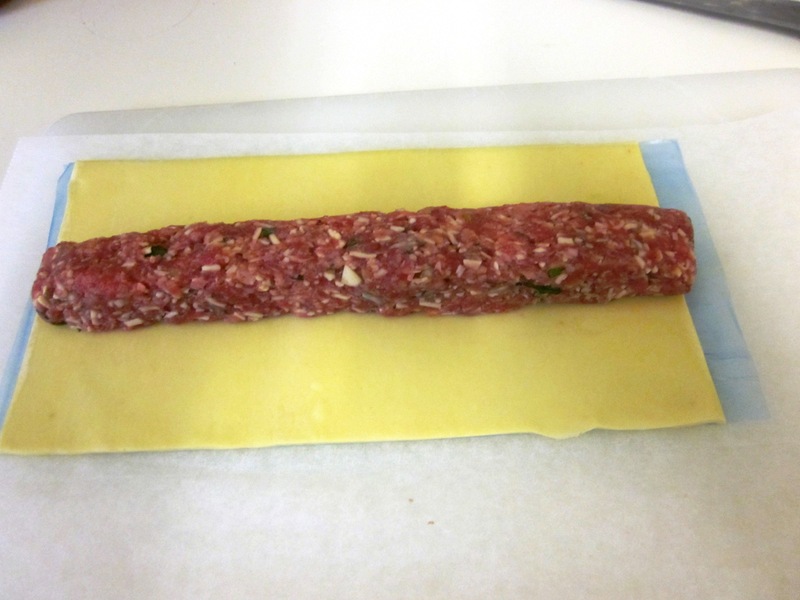 Roll one of the lamb portions into a long sausage the length of the pastry then place the sausage lengthways in the middle of the halved pastry sheet. Brush the edges of the pastry with a little cold water and then roll the pastry around the sausage, pressing the edges to seal. 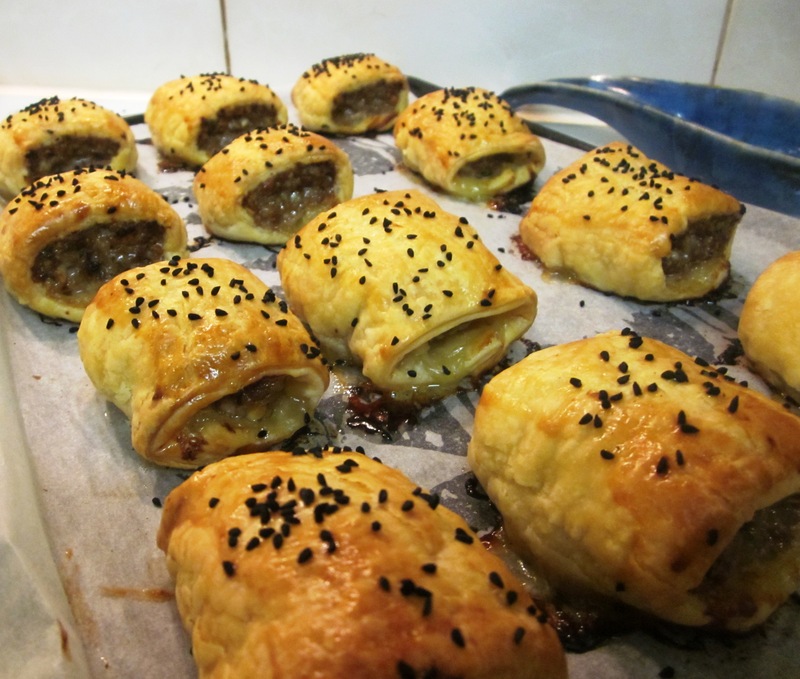 Cut the length into 4 mini sausage rolls (or two larger ones if you want) and place on the baking tray sealed side down. Repeat this process with the rest of the pastry and lamb mix. 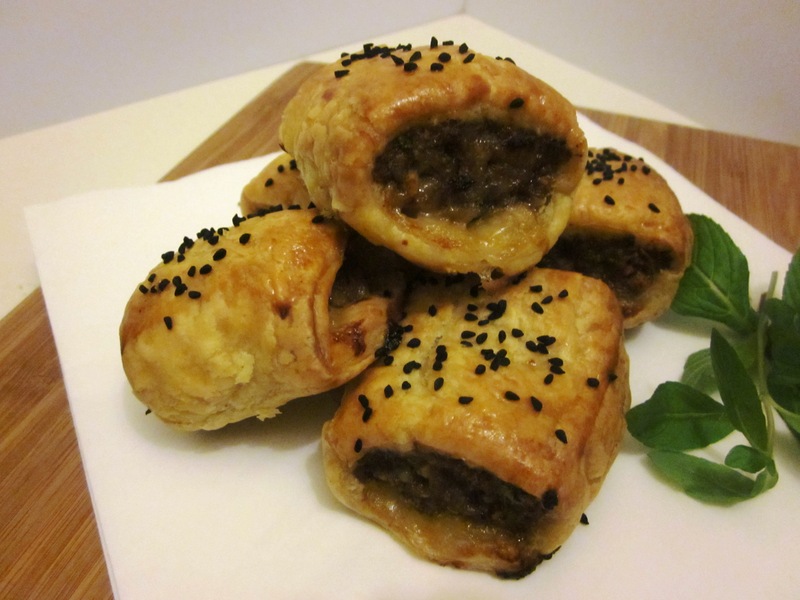 Once all your sausage rolls are prepared, brush the tops with the beaten egg (try not to get the egg over the cut edges of your sausage rolls as this will limit the pastry ‘puffing’ up) and sprinkle with the nigella (or sesame) seeds. 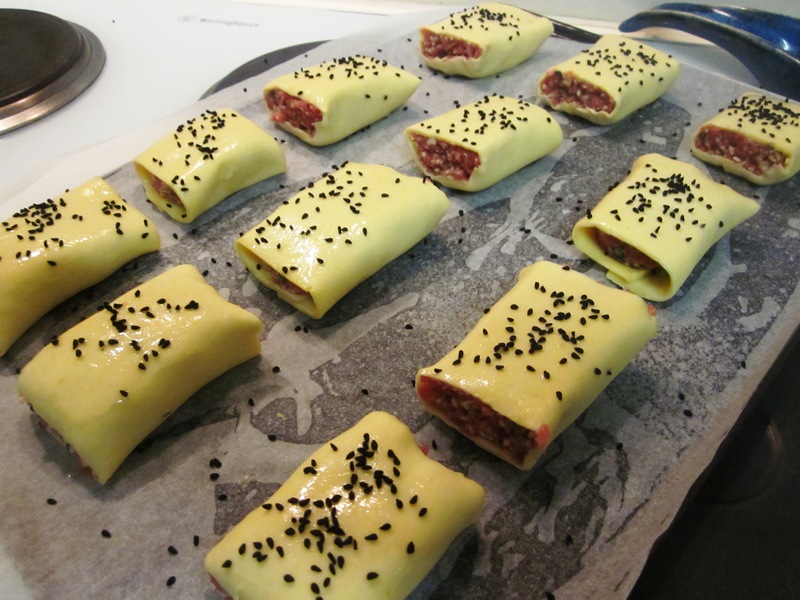 Bake in the oven for 30 – 35 minutes or until the sausage rolls are golden and puffed (the original recipe stated 30 minutes but I found I needed 35 minutes). In my oven I find it best to only cook a tray at a time, so I kept the second tray in the fridge while the first tray was cooking. If you have a good oven, cook them all at once, swapping the trays around halfway through the cooking time (unless you can fit all the rolls onto one tray). These are great as a party snack, or for lunch or dinner with a salad on the side.